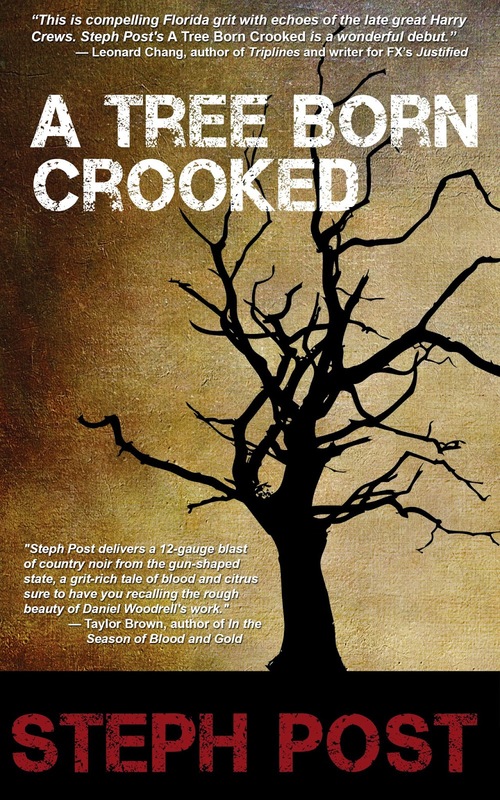 Steph Post is the author of the recently published novel A Tree Born Crooked. She lives, writes, and teaches writing in St. Petersburg, Florida. 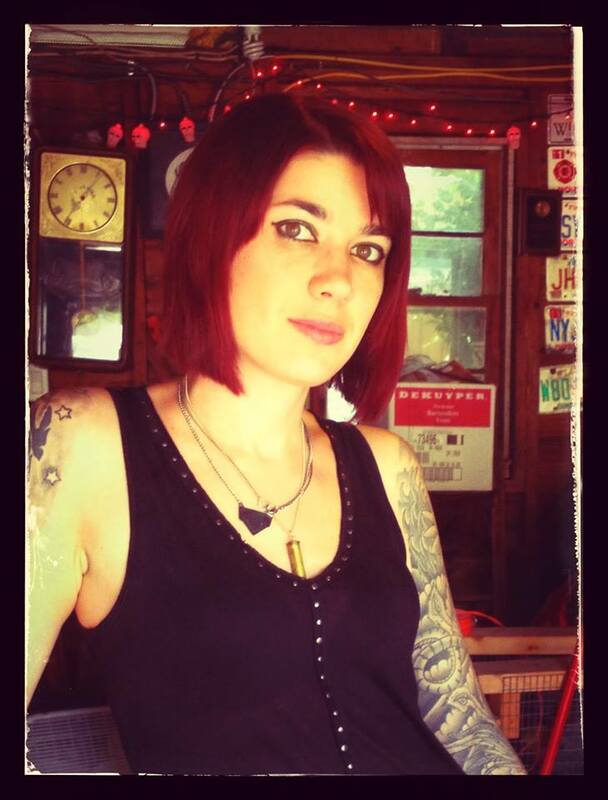 Connect with her at http://www.stephpostfiction.com. For me, the dreaded question of “What’s your book about?” has always been paralyzing. Most people who ask are looking for about a ten-second synopsis, even shorter than an elevator pitch, and I find it challenging to sum up an entire novel, an entire year’s worth of work, in the amount of time it takes a person to unwrap and start chewing a stick of gum. Or check a text message. Or look over my shoulder at something more interesting. All of which that person is most likely doing while I’m trying to explain one of the most important things I’ve ever created in my entire life. I’ll admit that I’ve gotten better at it. I’ve distilled my novel down into short, easy to manage, 21st century sound bites that hopefully catch a spark in the listener’s eyes, depending on what he or she is into. Southern. Literary. When the eyes start to drift, I ramp it up. Thriller. Crime. Guns. Then I narrow it down, hone in on what the reader is really looking for. I’m getting somewhere. Florida. Dirty Motels. Alcohol. Road Trips. Banana Moon Pies. I sold a book last week just because the woman had a huge crush on Timothy Olyphant (well, who wouldn’t?). She had no idea what my book was about, but she hauled out the cash as soon as she saw the word “Justified” on the cover. So I thought I was nailing it with the sales pitch. I was feeling pretty good about it. And then I had a true deer-in-the-headlights moment the other day. The question was the same as always — “what’s your book about” — but I froze. “Um. Er. Stuff. And then some stuff happens. To these people. In this place. And then some more stuff. There’s all kinds of stuff in the book. Yep. That’s right. Lots of stuff.” I don’t have to tell you that I lost that sale…. But it wasn’t because I didn’t know how to pitch my novel. It’s because I suddenly couldn’t remember which novel I was talking about. And now an entirely new author challenge has been thrown my way: how to balance promoting a novel, shopping a second, and writing a third. All without losing my mind. I have always thought of writing as a war. In addition to being an author and editor, I teach high school students how to write. When we get ready for the state writing test, my students have their battle faces on. During writing boot camp, we plot out sneak attacks, counterattacks, revision strategies, grammar arsenals, weapons of diction, hand-cramping survival tactics, and the ultimate ways to blow up the enemy (the state-appointed essay scorer) and win the war (be eligible to graduate). Some of my students look at me warily and edge away, some roll their eyes, but those who struggle with writing get it. Those who struggle and those who have the demon of a novice writer stirring deep inside of them. Whenever I’m in the middle of writing a novel, I always feel like I’m deep in the trenches. I’m slogging away, looking out over no-man’s land, wondering if I’ll ever see daylight again. It’s messy and can be disheartening, though filled with explosions of brilliance and moments of adrenaline-fueled panic and triumph. I sit in front of my notebook or computer and imagine what people out in the “real world” are doing. Having fun. Going to parties. Interacting with other human beings. But I’m stuck in the trenches with gritted teeth, banging out chapters because the characters won’t let me sleep until I’m finished. Sounds like fun, right? Now, I’d give anything to be back, safely ensconced in my trench, shutting the rest of the world out with only my notebooks and my keyboard, my music and my dogs for company. But there’s no going back. I’m running across the field now, grenades being lobbed in my direction from all angles, bullets whizzing past my head, the ground on fire. I thought writing was a battle. No. Writing is a walk in the park on a summer day. Being an author is a battle. Being an author is a fight to death. Instead of being able to focus, with blissfully intense tunnel-vision, on one story, I have three jostling around in my head at all times. My debut novel, A Tree Born Crooked, was just published in September. I had moved on from the story and its characters in the year’s time from writing to publishing, but now the world of Crystal Springs and its bedraggled inhabitants are right back in the forefront again (and being packaged into ten-second pitch-bites). 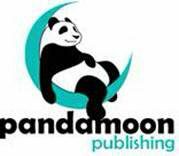 During this past year, I wrote another novel, so on top of promoting one book to readers, I’m promoting a second book to agents and editors. And then I’ve spent the last three months working hard on research for my third novel, which I hope to begin writing this month. So when the unassuming reader asked me what my book was about and I provided the elegant response of “stuff,” what was really going through my head was a frantic moment of trying to remember which book they were asking about. The one with the crazy Pentecostal preacher or the one with the Alligator Mafia? Or the tattooed snake charmer? The one set in rural Florida or in a traveling carnival? Wait, is there mythology in this one or is that the one I’m working on now? Literary, noir, Southern Gothic? It must have all shown on my face, because the potential buyer of A Tree Born Crooked carefully set the copy down and backed away slowly. Reserve the weekends for working on the new novel. It’s the most important thing, and will always be the most important thing, because writing is, well, the point of being a writer. Period. Do everything else (promoting, querying, blogging, tweeting, editing, reviewing, teaching, living) during the week. Forget about ever having a clean house. Teach my five dogs how to take themselves for a walk. Tell my husband that I’ll see him sometime. Maybe in the next year. Possibly. Ditto to all my friends. Hold off on having kids. Buy a wine cellar. Fully stocked. Remind myself over and over that I’m an author not because I have to be, but because I want to be. I’m doing this because I love it. It’s frustrating and irritating and painful and heart-wrenching and has completely ruined my social life forever. But I love it. And I’m open to suggestions. For now, I’m suiting up, checking my ammo, and heading into battle.